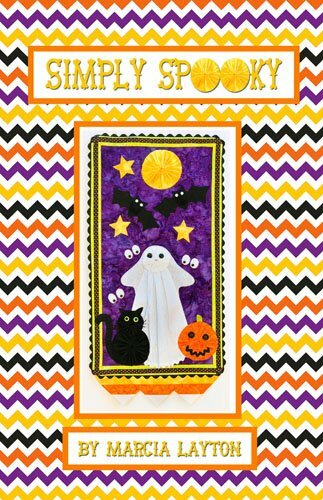 Simply Spooky Pattern by Layton, Marcia L., Marcia Layton Designs.Rickrack, buttons, prairie points and yo-yos add texture and interest to this spooky little Halloween wallhanging. Created with fusible machine appliqué. Finish size is 12" x 22"
Project can be made with the Clover Quick Yo-Yo Makers: small, extra-large and jumbo.